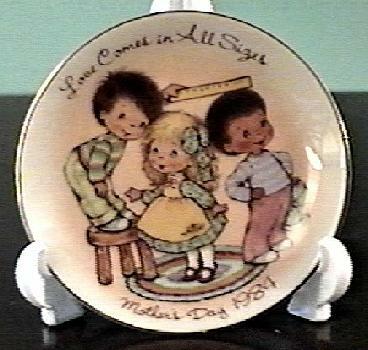 This Avon Mother's Day 1984 Plate is entitled " Love Comes in All Sizes". It is in excellent condition with no chips or cracks and measures 5" in diameter. It does not have a box. High bidder pays $3 priority mail shipping and an additional $1 if insurance is desired. Shipping in US only. NY State residents please add 7% sales tax. Thanks for bidding!